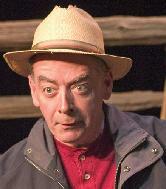 From my first "Walt Wingfield" experience -- watching Letters From Wingfield Farm, the first of a planned trilogy of plays from master playwright Dan Needles, unfold on stage -- I was hooked! And instantly became a fan of Rod Beattie, the incredibly talented actor who has given us dozens of unique characters in six hilarious episodes in the life of Walt, a Bay Street stockbroker turned gentleman farmer in the fictitious north-of-Toronto-Ontario Persephone Township. Over the years, I have been privileged to interview Rod on a few occasions and to see all six of these captivating productions at least once. This is my review of the sixth in the series when it premiered at Stratford Festival. Some 20 years ago -- in 1988 -- the Seniors� Jubilee set out to prove that the country�s older adult population � and the talent it represented -- was a force to be reckoned with. About the same time, a publication called Today�s Seniors (now Forever Young) was launched with similar goals -- to show the world that this population was to have a significant impact on society in the future. At the time, there were more naysayers than supporters for these ideas. But the staying power of both and their continuing impact on 21st-century society speaks to truth of their visions. Perhaps it also speaks to the symbiotic relationship between the two -- Forever Young has long been a Jubilee media sponsor and annually presents the Forever Young Award of Distinction, for devotion, commitment and achievement. Both enterprises have made their mark in the 21st century and both honour the contributions of the world�s �senior� population in creating the society we live in. There have been many �talent shows� over the years that capitalize on the talents of an older cast, but the unique success of Jubilee lies with the considerable expertise of artistic director Wayne Burnett, himself a performer, who works intensely with the performers to help them become more than they ever thought they could be. And to the efforts of co-producer Glenda Richards who works tirelessly to ensure that the show gets recognition and funding and that the performers are comfortable and well looked after during their time at Roy Thomson Hall. As someone who has been privileged to view the process of creating Jubilee shows from the inside, through writing about them and about the performers, I can truly say that this is an annual feat unparalleled in the entertainment world. And I am in awe, anew each year, at what these two people achieve. Follow this link to read about just some of the awesome talent on the Jubilee stages -- and behind them. The voice is a dead giveaway. It's non other than Georgette, fondly remembered by all Mary Tyler Moore Show fans as the lovable, slightly ditzy girlfriend-then-wife of the equally ditzy (or the masculine form thereof) Ted Baxter. 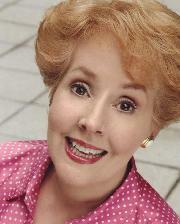 More recently we heard that voice on Everybody Loves Raymond, where its owner, Georgia Engel, portrayed Robert Barone's mother-in-law. But, talking to Engel, one quickly realizes that behind the girlish giggle is a savvy and insightful woman who has built an extremely successful show business career on both the small screen and the big stage.